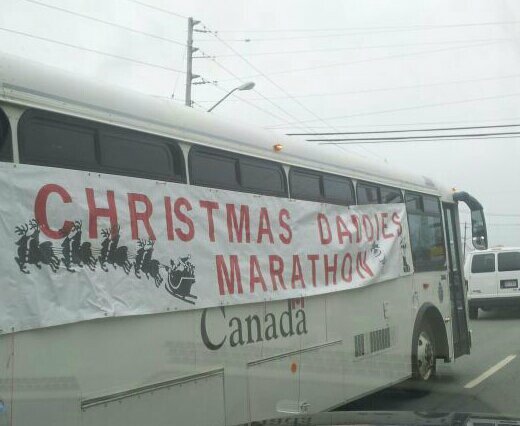 Christmas Daddies Marathon Rolls Through Sacktown! (Pics) | Sack-Vegas!!!! If you come across this scene be sure to send a few bucks their way. 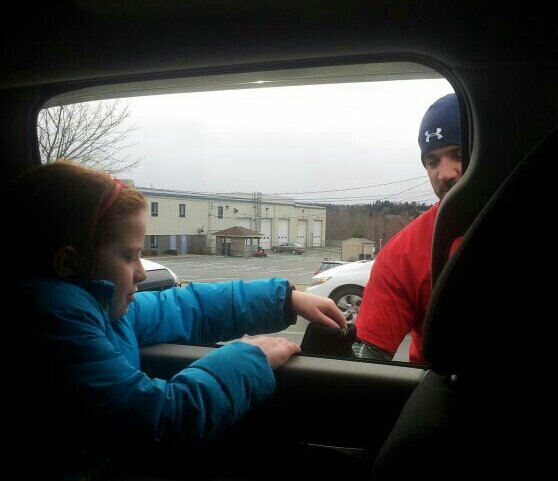 That’s my daughter kicking in a couple bucks from my truck. 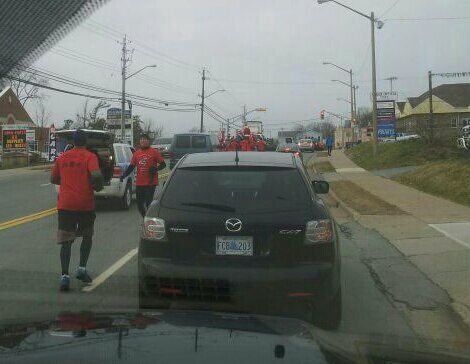 I think these are military peeps jogging for the cause. This was around 12:30 PM. Be sure to slow down as well. Posted by Sacky on December 1, 2013 in Community Events.